Home » Tech Tips » Browsers » How to Disable Incognito Mode in Chrome Windows and Mac? Browsers allow surfing the internet with two different modes. One is a normal mode in which the browser will record all browsing history for speeding up your activities. Second is a private mode in which no history is recorded. Private mode will help you to keep your browser clean and not leaving any trace behind your history. Although it seems completely safe for the end users, but your activity is still accessible for computer administrator, your internet service provider and the websites you visit. Microsoft Edge refers the private mode as InPrivate, Firefox calls it as Private and Google Chrome calls it as incognito mode. You can press “Control Shift + N” in Windows or “Command + Shift + N” in Mac to open an incognito window in Google Chrome. Why to Disable Incognito Mode? In our earlier article, we have explained how to open Chrome by default in incognito mode. However, there are situations you would like to disable the private browsing mode. For example, you may share your personal computer with your kids for browsing. You neither want them to use incognito mode nor delete the browsing history. Though annoying for the kids, you may need these types of parental controls on certain occasions. In addition, administrators can disable the incognito mode to force users to browser only using normal mode. 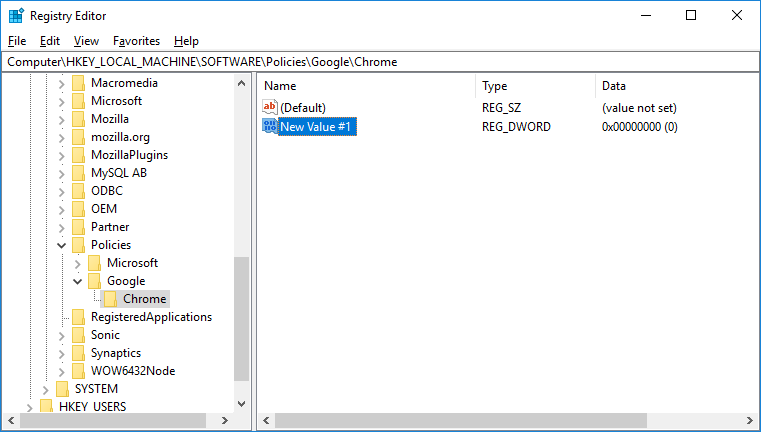 Windows 10 – change the registry setup. Mac – modify Chrome preferences file. Follow the below instructions to disable incognito mode in Chrome. Press “Win + R” keys to open “Run Command” box. Alternatively, right click on “Start” menu and select “run” option. On the Run Command, type regedit and press enter to continue. 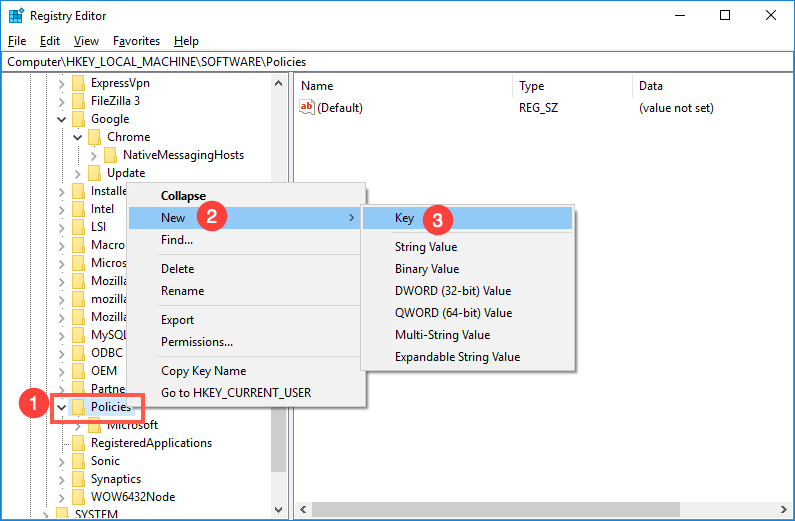 You should have administrator access to modify the Windows registry editor. 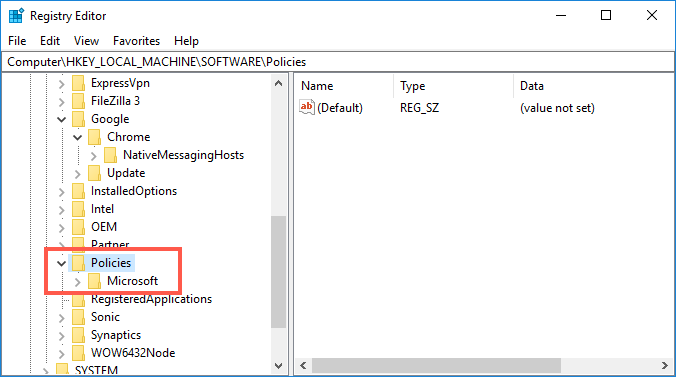 After you have gained access to the registry editor, navigate to “Computer > HKEY_LOCAL_MACHINE > SOFTWARE > Policies” section. 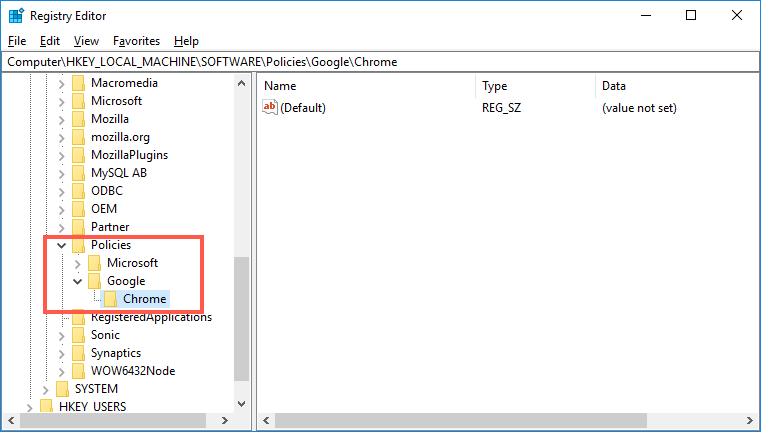 If you see folders for “Google > Chrome” under “Policies” section, go to step 4, otherwise continue with step 3. In case, if you are not seeing Chrome entries then right click on “Policies” and select “New > Key” option. Name the new key as Google. Again, right click on “Google” and create new key with a name “Chrome”. Finally, the entries should look like below as “Policies > Google > Chrome”. If you don’t have admin access, then Windows will not allow you to modify registry editor. You will see the below error like “Cannot create value: Error writing to the registry”. So ensure to login with administrator access before trying to edit registry entries. Select “Chrome” folder and right click on the right pane showing different keys. 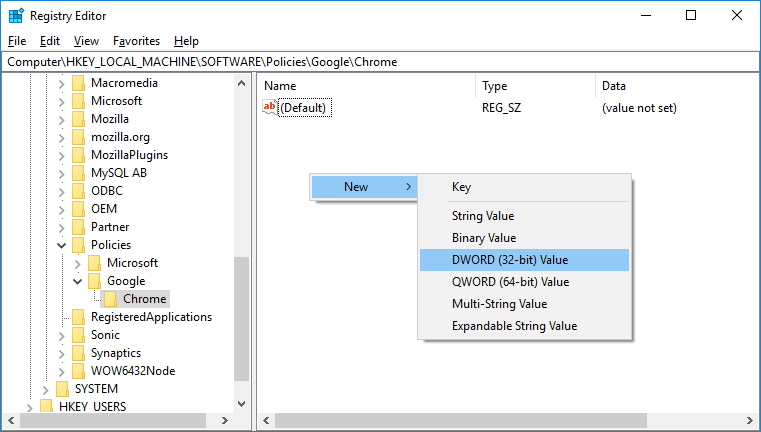 Choose “Key > New DWORD (32 bit) Value) option. Basically you are creating a new registry key entry to control the incognito behavior of Google Chrome. By default, Windows will name the key as “New Value #1”. Press F2 or go to “Edit > Rename” and change the key name to IncognitoModeAvailability. Next step is to right click on the “IncognitoModeAvailability” key and choose “Modify” option. On the popup dialog box, assign the value as 1 and press “OK”. Close all Chrome windows and relaunch the browser. Now, click on the three dots button and check that there will be no “New incognito window” option in the menu. 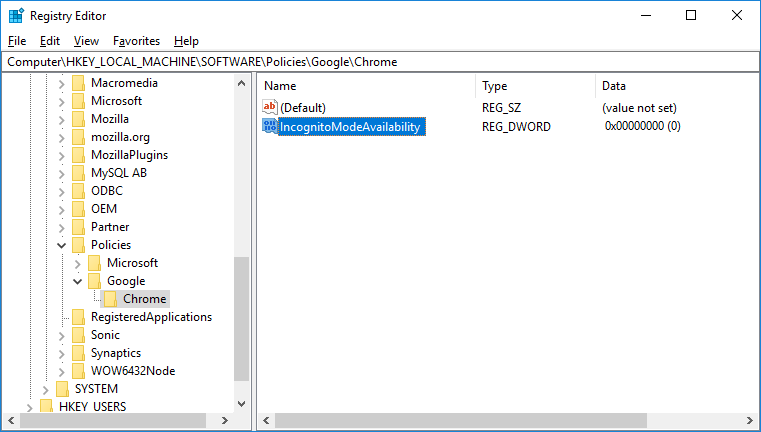 If you want to enable incognito mode back on Chrome, open registry editor as explained above. 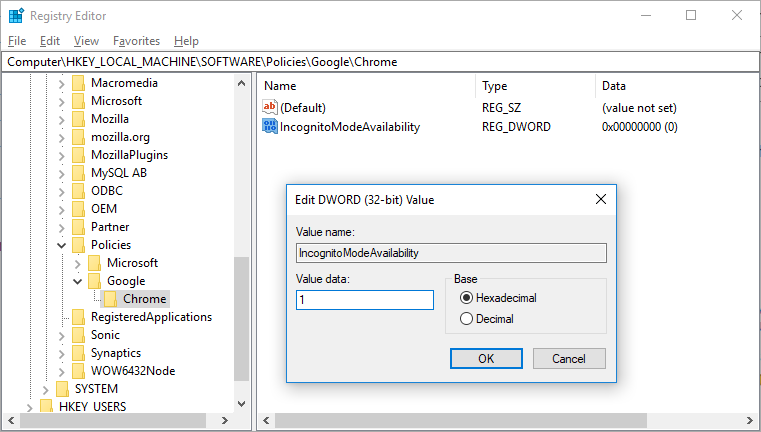 Change the “IncognitoModeAvailability” key value to 0. 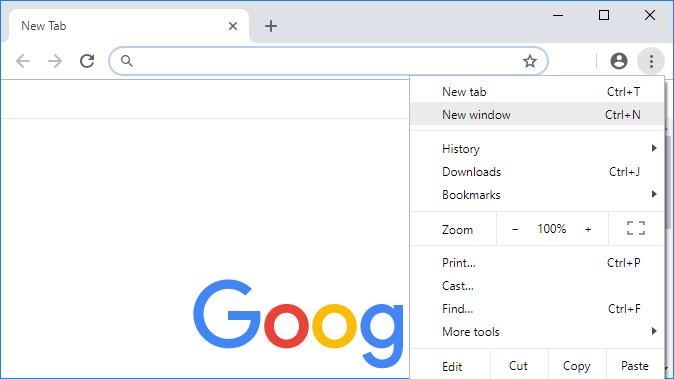 Close all Chrome windows and relaunch to see the option has come back in the menu. Mac does not offer registry editor, however each application will generate a preferences file (plist file). 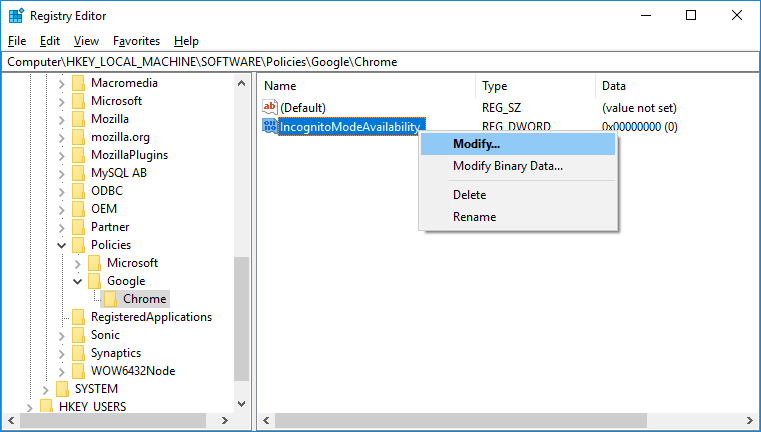 You can modify Google Chrome’s preferences file to disable incognito mode. The good part is you can directly update file from Terminal command prompt. Press “Command + Spacebar” to open Spotlight Search in macOS. 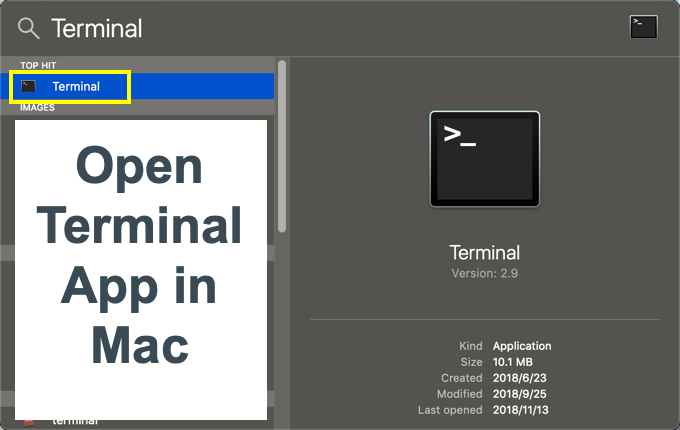 Type “terminal” and open Terminal application. You can also open Terminal app from “Finder > Applications > Utilities > Terminal” or from “Launchpad > Others > Terminal”. Type the below command in Terminal and hit enter key. Here you are setting up the “IncongnitoModeAvailability” value as 1 to remove the incognito mode from Chrome on macOS. Close all browser windows and restart you Mac. After restarting, launch Chrome and check that it has no menu item for “New incognito window”. If you want to enable the incognito mode back, then open Terminal and enter the below command. This will bring the incognito option back in Chrome menu. 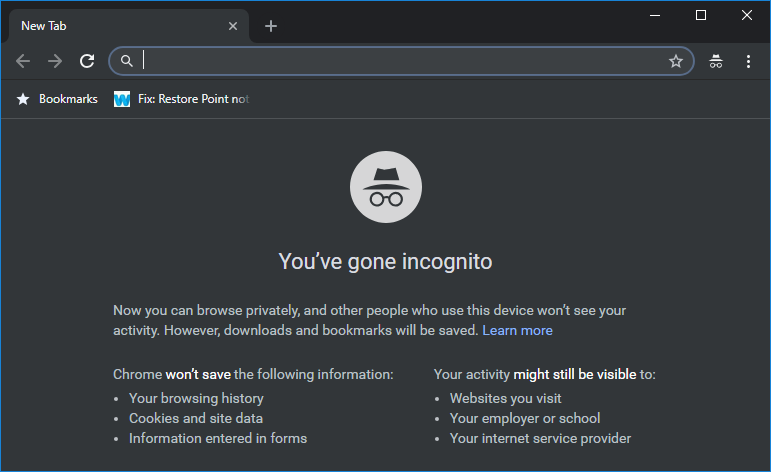 Incognito mode not only allows browsing without storing history but also disables all extensions and cookies. Whenever you feel Chrome is loading slowly, the first option you need to check is to open the websites in incognito or guest mode. This will help to identify if there are problems with installed extensions. Disabling incognito mode though help in limit the access, you should not disable it unnecessarily. This is also the reason Chrome does not provide this option in settings.